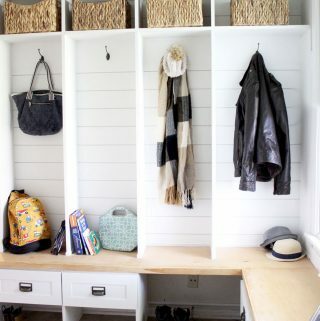 I saw this project in your Instagram feed and had to head over to your blog to take a look right away! 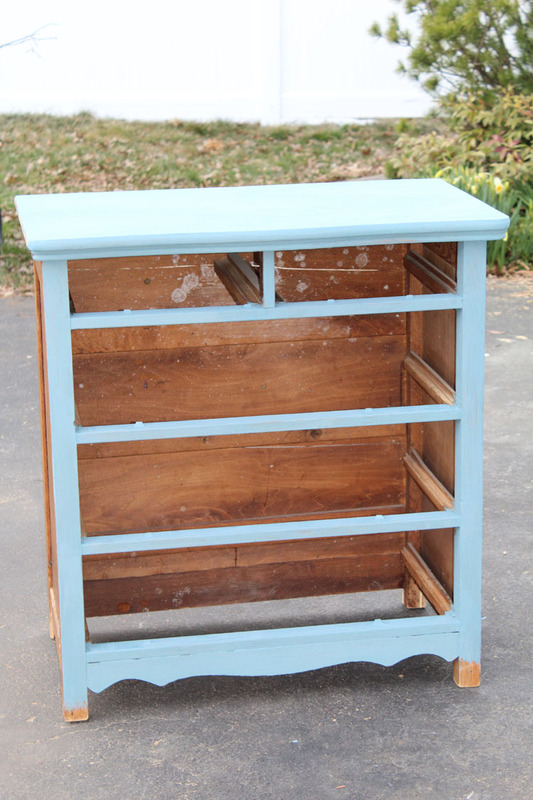 My husband and I recently snagged an old cabinet with drawers for cheap from an estate sale and have been wanting to repaint it this spring. 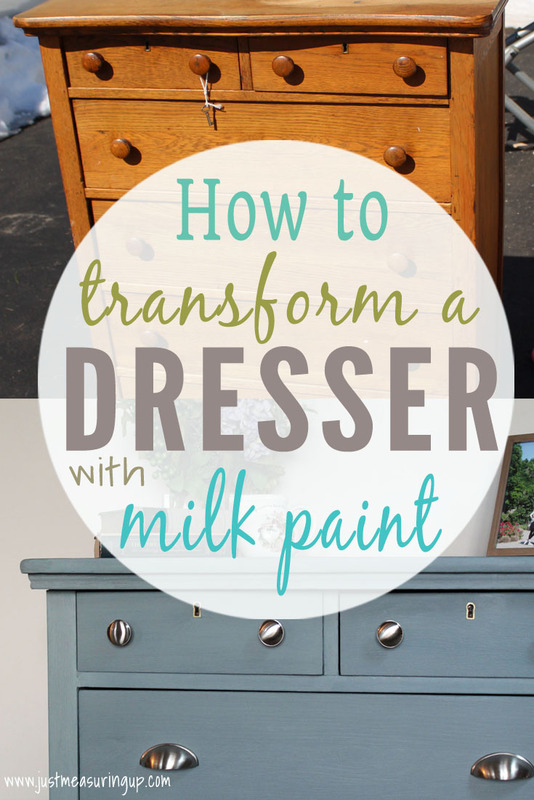 This is a perfect guide to reviving an old piece of furniture and I am excited to try out Milk Paint! 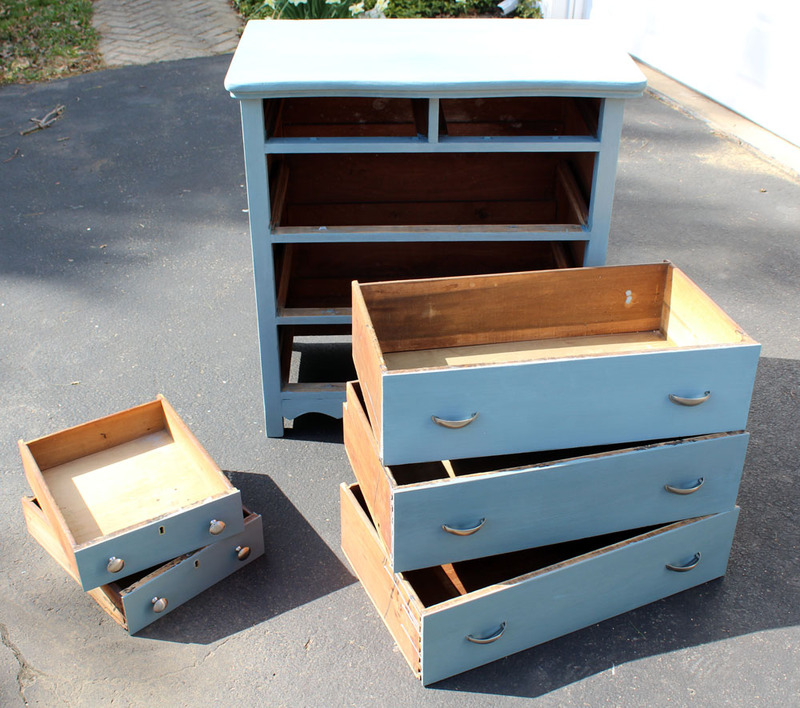 Yes milk paint is wonderful! Thanks for your compliments Sonia!! So good! 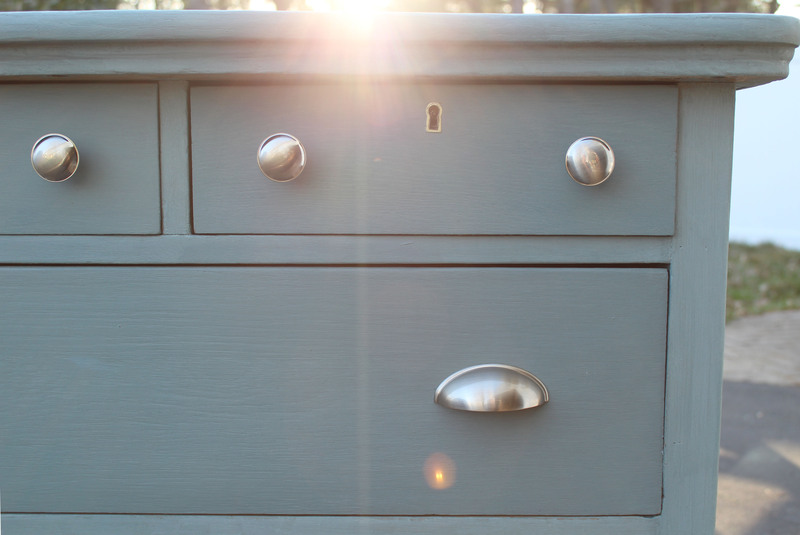 I had chalk painted our oak cabinets in the kitchen … I know! It was a huge task. After using TSP to clean, I thought no tanin would come through, but it did seep through, so we had spotting. I didn’t wax. Instead, I went to a local natural wood furniture place and talked to the guy. 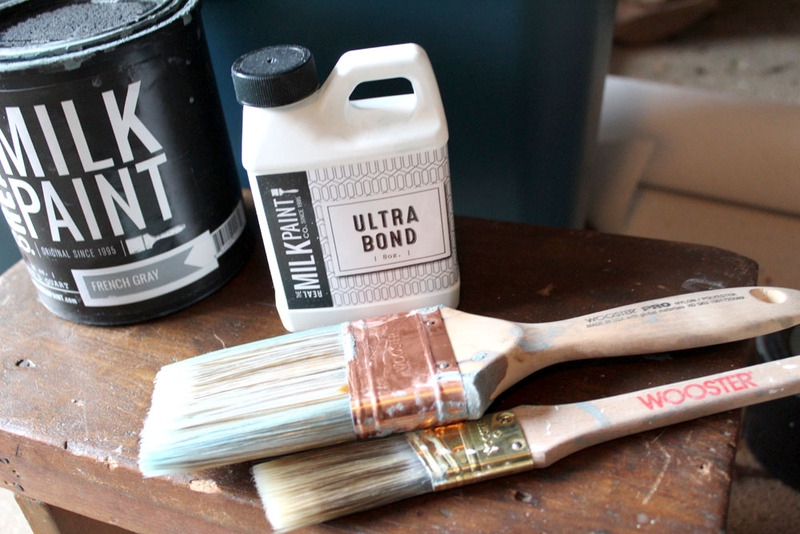 They sell milk paint (premixed) and he explained why it’s so much better. 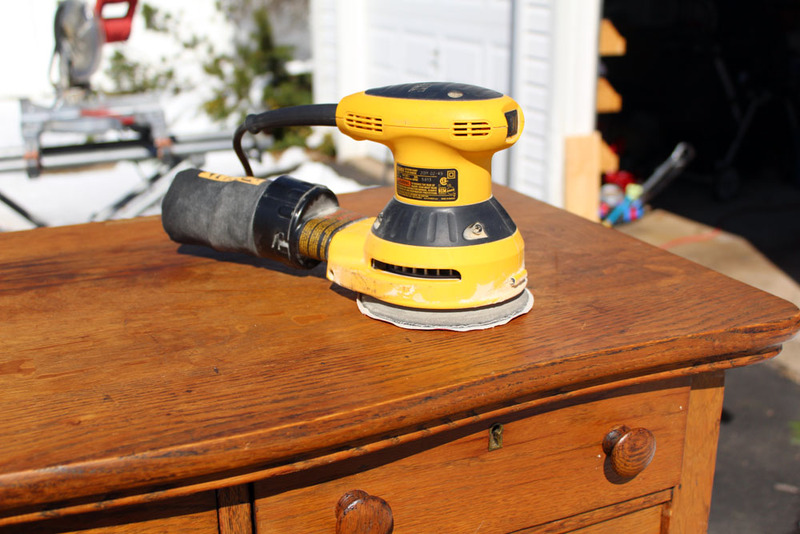 I’m waiting until summer to do this as I have to sand a lot and it will take so much time to do all the cabinets, but I’m looking forward to the outcome. I saved this post for the pointers. Found you in the link-up, by the way! 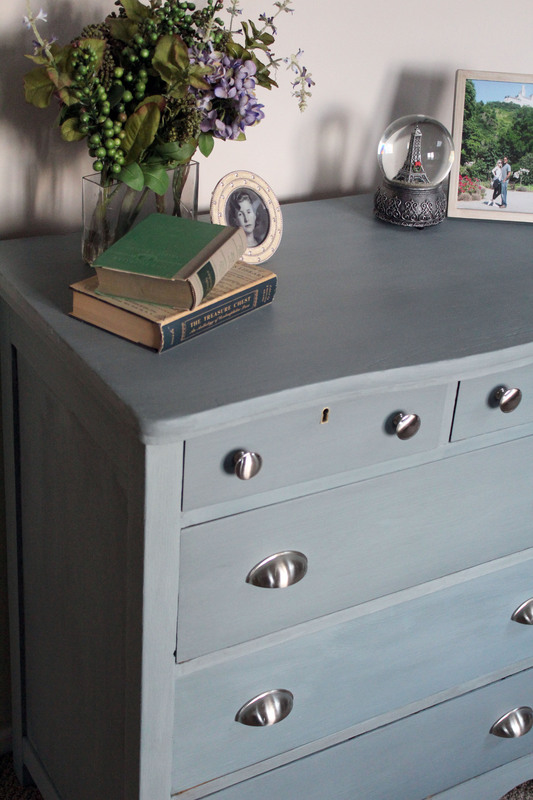 Dresser looks lovely!! What a beautiful transformation! Love the way the colors layered together. Thanks so much for sharing at the #happynowlinkup! 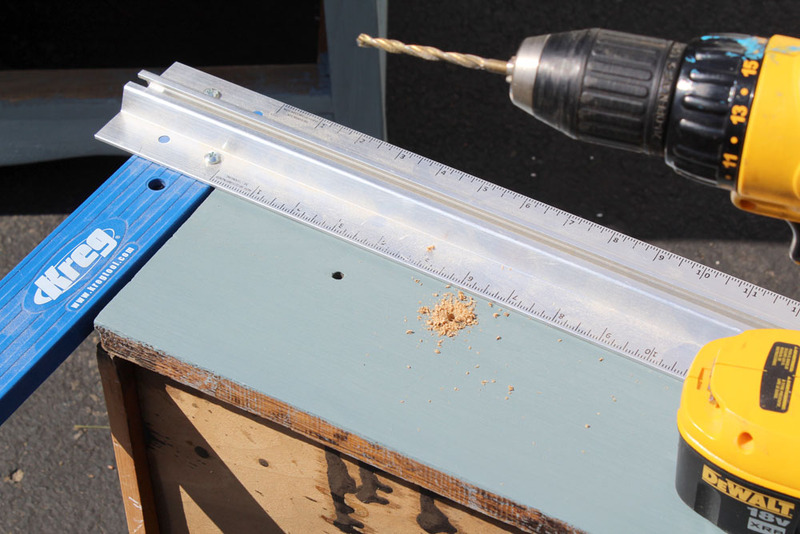 This post inspires me to start a DIY project immediately!! Aww so happy to hear that Myriah! I love the color! 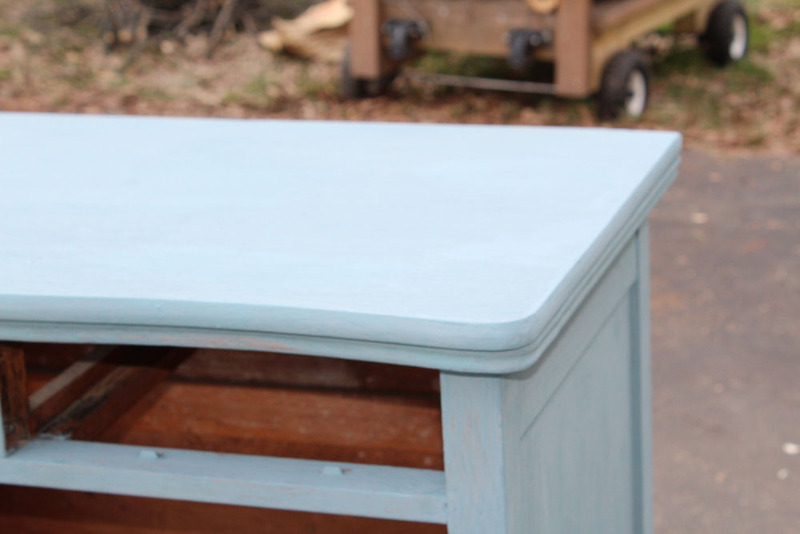 I’ve only used milk paint one time, but I liked the results! Thanks for sharing with SYC. Wow, it’s turned out fantastic, I love the colour! Thanks for joining us at #TriumphantTales, hope you’ll come back again on Tuesday! 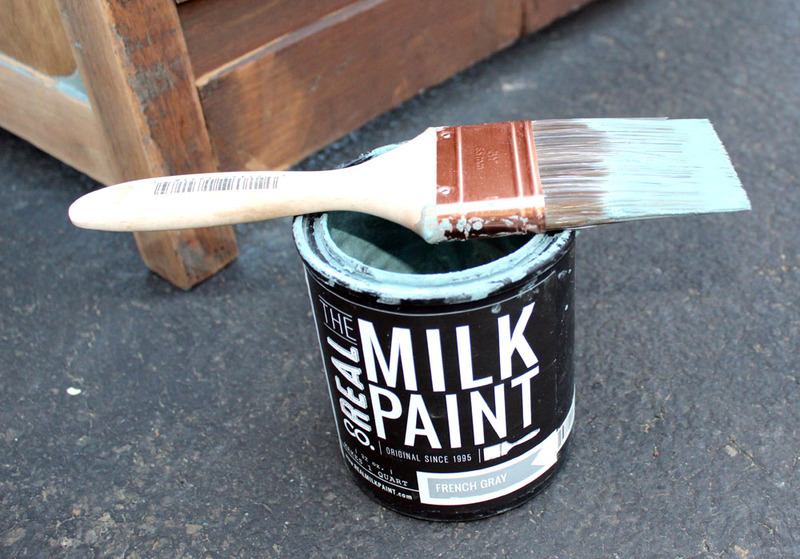 I’ve never even heard of milk paint! The dresser looks great. 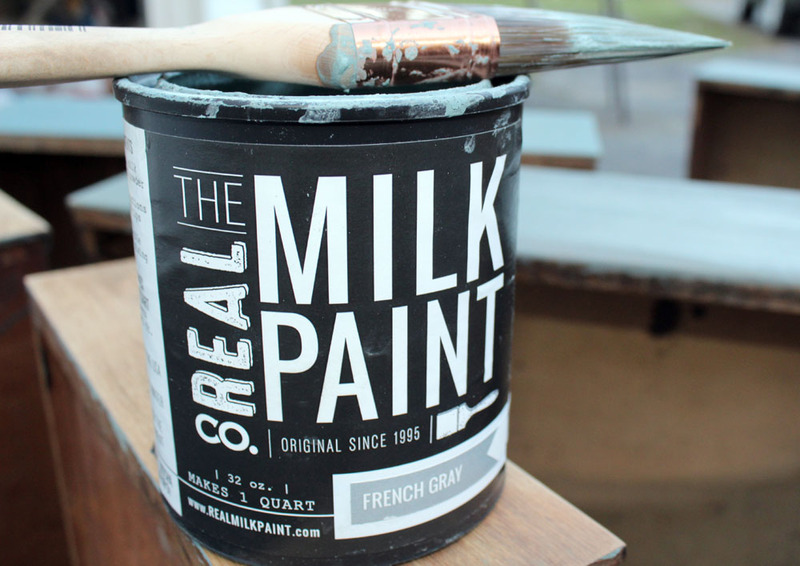 What fantastic results, I love using chalk paint but, I’d never heard of milk paint. Will definitely be giving it a try! It looks great. 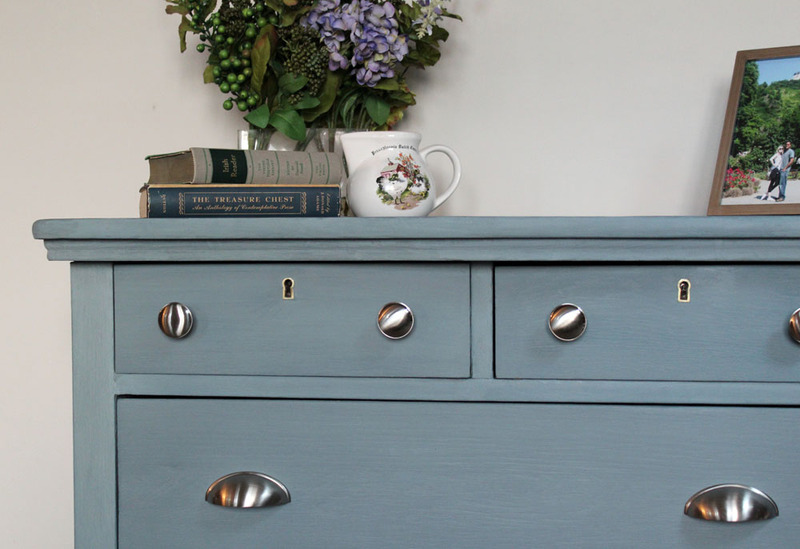 I’ve never used milk paint before, but I’m loving how it looks. Thank you for sharing at The Really rafy Link Party. Pinned. 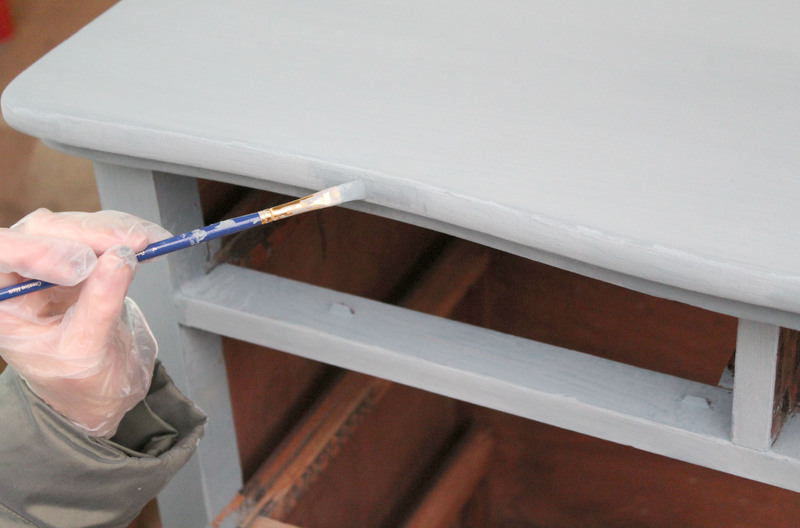 Wow what a great transformation, love the color……….and the hardware. 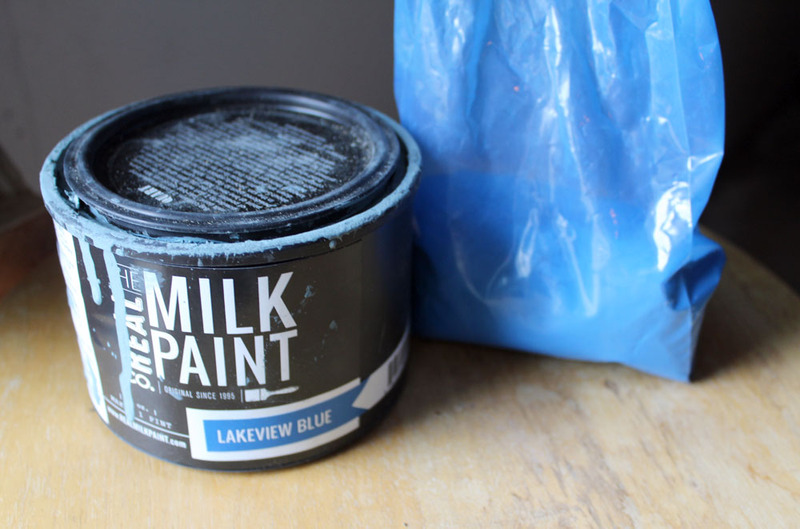 using chalk paint, is it the same as milk paint?? 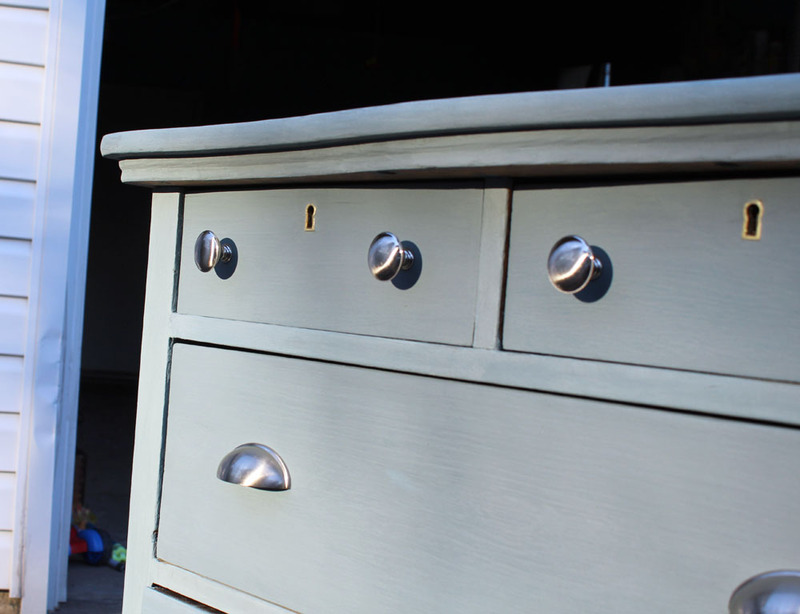 You guys did a wonderful tutorial covering all the bases, the updated dresser came out fabulously, I adore the custom color mix you created so soft, I have to go check out the other post on shortening the legs! 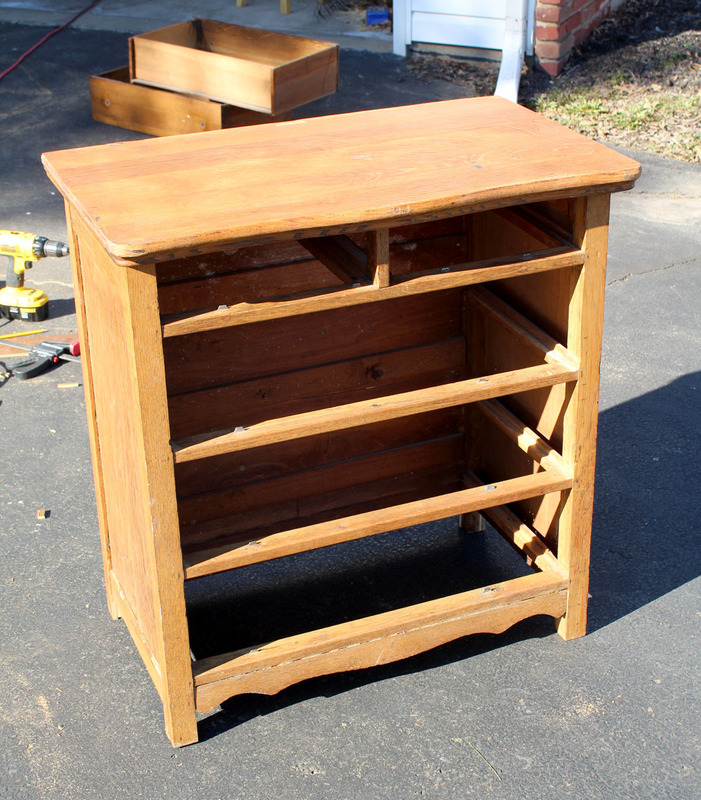 Thanks for sharing your project at #fridaysfurniturefix! Wow – what a transformation! 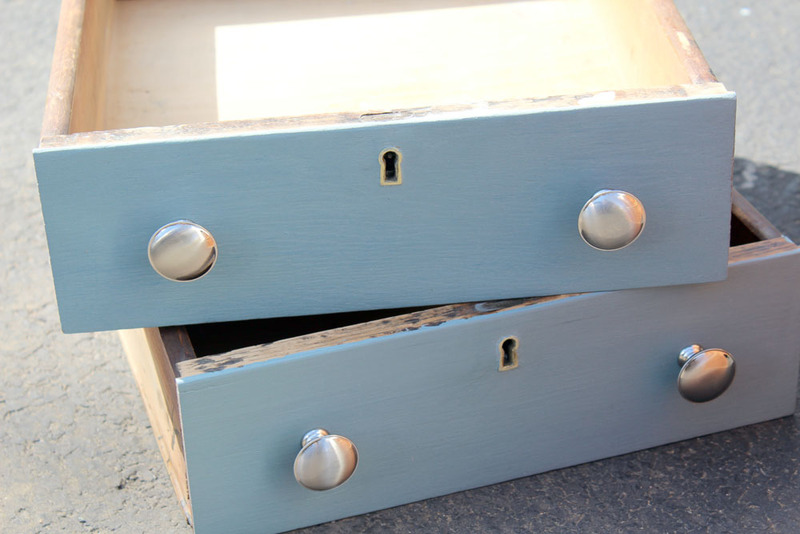 I haven’t used milk paint yet but you have inspired me! Visiting from Totally Terrific Tuesday. 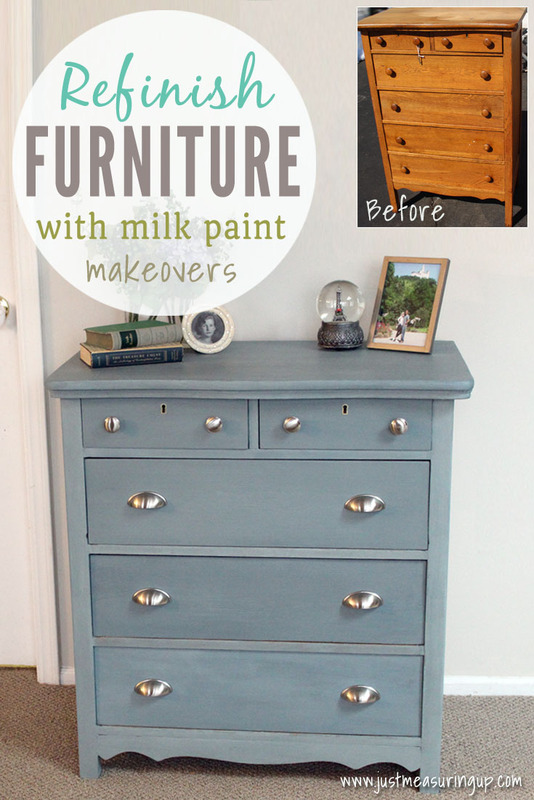 I have used milk paint many times and just love the fluid look of the color you get on the furniture. Your piece looks fantastic. Thank you for sharing this love tutorial. You are one of this Sunday’s features at Dishing it and Digging it link party. Thank you for joining in. 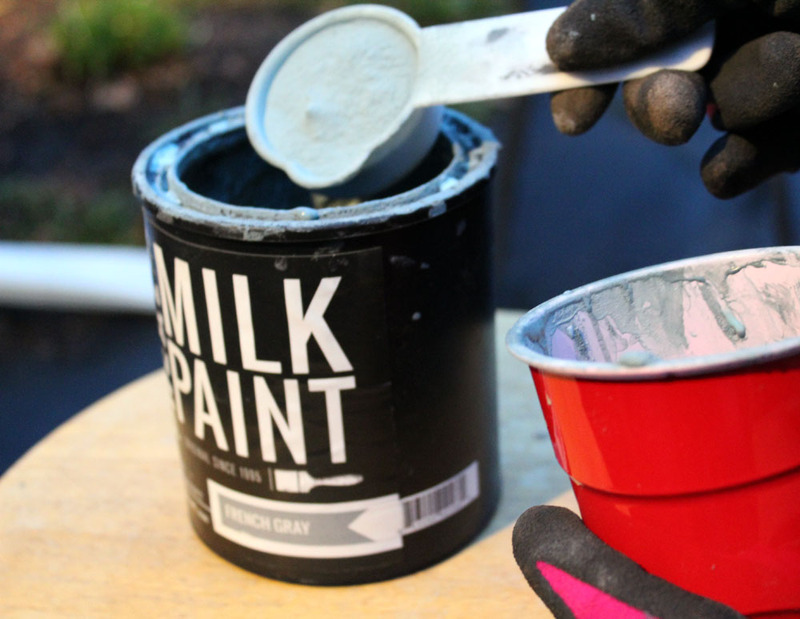 Wow, that sounds so cool!I’ve never heard of milk paint. Non-toxic is such a bonus. 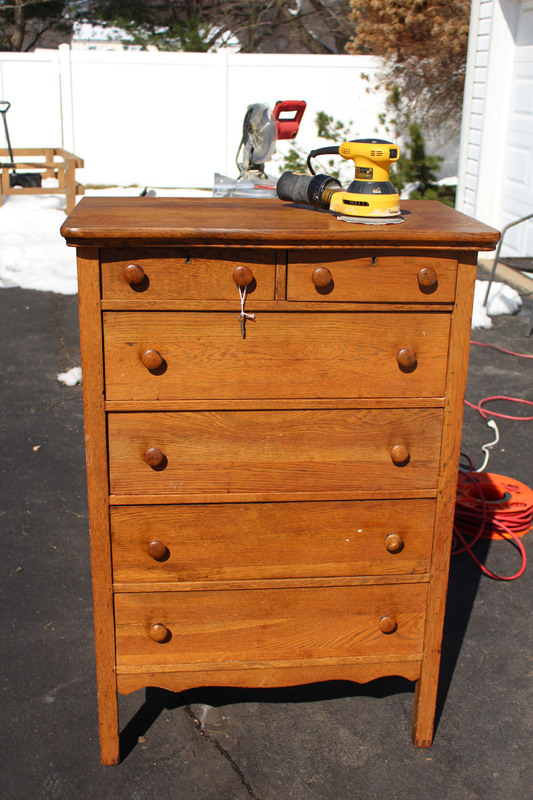 The dresser looks great. Thanks for linking up to the #bigpinklink this week. Thank you so much, Becky! 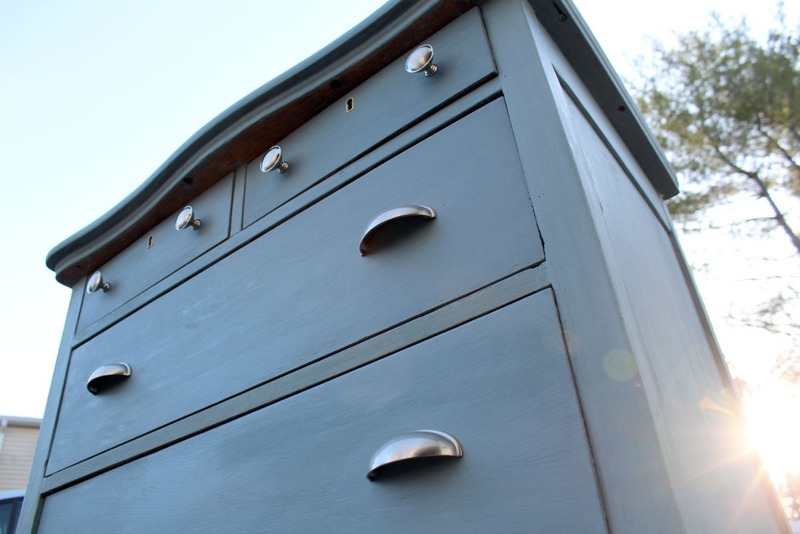 Yes milk paint has no chemicals! Such a plus!